Zachry selected as EPC for first 150 megawatts of the enormous 700-megawatt project in Arizona. 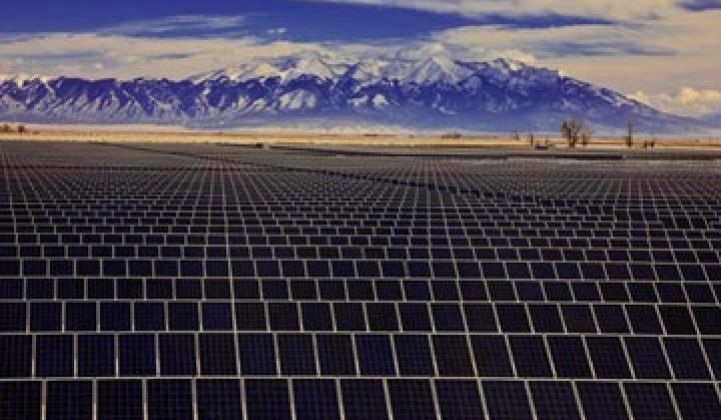 Sempra Generation is developing the massive 700-megawatt Mesquite Solar project, located near Phoenix, Arizona and they've just selected Zachry Holdings as the EPC and Suntech as the panel supplier for the initial 200-megawatt (DC) phase of the build. The project is located near the Hassayampa 500-kV switchyard, a major transmission hub with access to southwestern U.S. markets. Transmission upgrades and site grading for the entire project have been completed in advance on the flat, privately held land. And with 20-year power purchase agreements already signed with Pacific Gas & Electric (PG&E) and pending approval from the California Public Utilities Commission (CPUC) -- all boxes have been checked for this project to go through. I spoke with Andrew Beebe, Chief Commercial Officer of Suntech (NYSE: STP) this morning, and he was confident that unlike other "bragawatt" projects, that with Sempra, Zachry and PG&E involved, "These get approved. This is going to happen." Construction on Mesquite Solar I -- the first 150-megawatt phase of the Mesquite Solar complex -- is expected to begin in 2011. When completed in 2013, Mesquite Solar I will be one of the largest photovoltaic solar installations in North America. Beebe said that this enormous 800,000 panel purchase order is hopefully the "first of many large-scale deals with this customer," adding "Suntech America has had a strategy of not competing with customers and servicing the needs of large-scale developers and EPCs." Contrast that with vertically integrated panel suppliers like SunPower and First Solar who are also project developers. Sempra Generation is the developer wing of Sempra, the utility which engaged suppliers in a "highly competitive bid on the project" according to Beebe. 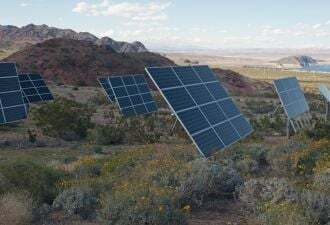 The project is about 30 miles from Suntech's Goodyear Arizona plant and panels from that U.S. factory will be deployed at this U.S. solar plant. Suntech has recently doubled the workforce at the Goodyear factory and and looks to double it again to about 160 people to produce 50 megawatts of panels, many destined for the Mesquite plant. The solar facility will create more than 200 local jobs for construction and installation. "A non-trivial portion will be Pluto panels," according to Beebe. The Pluto products are Suntech's high-efficiency technology panels. Beebe echoed the SunPower line that high-efficiency is important in land-use issues and can be a deciding factor in projects of this nature.